How to Have a Car and Never Worry About It! What is the best money transfer service? Online Banking - is it for you? Check My File: Why Use It to Check Your Credit Score? Credit Reference Agencies – What Are They? We’re offering you the chance to win a brand new Dyson Supersonic Hair Dryer worth up to £299.99 in most stores! There is nothing the Americans do better than size - limitless roads, borderless burgers and buckets of enthusiasm. Their vehicle styling follows the same grandiose splendour – it is no surprise that importing a famous Winnebago or top-of-the-range Damon has become something that more adventurous UK natives are turning to. The American Recreational Vehicle, or RV, is a beautiful example of two qualities working in tandem. Here we have a mobile camping vehicle, designed to allow extended trips into unknown territories and yet it is tailored with luxury comforts and immense size to come as close as possible to bringing your home with you. Like all vehicles, however, the luxury motorhome needs to be legal to drive on UK roads. Not only does that mean ensuring that the electrics and other systems have been properly and professionally converted to our standards, but also that the vehicle is correctly insured. RV insurance in the UK is a growing industry as the American motorhome becomes increasingly popular with British holidaymakers, but it can prove expensive without proper research and understanding. It is important to recognise that not all insurance companies will insure a personally imported RV. This is because insurance companies want to be assured that the vehicle has been converted to UK standards properly and without any cut corners. If you have imported the vehicle yourself then give us a call and we can discuss your options with you. Often all you need to do is provide evidence of a professional standard of conversion. A lot of insurance providers will only provide cover for a recognised UK dealership selling American style RV’s. Currently, Signature Motorhomes are the only UK dealership that is fully approved by the National Caravan Council, although there are a handful of other dealerships that insurance companies will consider. From Fleetwood to Fourwinds, Monaco to Winnebago, the variety of RVs available is substantial and growing – while we may not have access to the hundreds of options available stateside, the UK RV market is increasing every year. Picking the right RV will affect your insurance – factors such as physical size and engine power all play their part. It is important that you buy the vehicle that is right for you, whether it’s the size of a converted coach, or a more manoeuvrable Class “C” vehicle. UK law stipulates that the maximum legal length to drive an imported American motorhome is 12 metres (which is a little over 39 feet) and 2.55m wide (8 feet). It also requires you have a class C UK driving license if the weight is over 7.5 tonnes (and it will be!). There’s no height limit, though if your RV is over 3 metres you will need to have a visible sign warning the driver of the fact and some of the quainter areas of the British countryside may become off limits due to bridges. Sometimes tagged on to your insurance, but occasionally better as a separate quote, RV breakdown cover is essential. You may think that you can change a tyre on your daily runabout, but maintaining an American motorhome is a giant step up from a normal car or campervan. Make sure that you get rescue and breakdown cover for your RV – no matter how well made your vehicle is, some things just happen and can ruin a holiday if not prepared for. Compare UK Quotes recommend European Breakdown Cover for RV’s as it is well recognised that these types of motorhomes are used for longer trips abroad. How much bigger is the American RV over a European Motorhome? A coach built European motorhome is on average 2.8m high, compared to American RV motorhomes which are over 3.5 metres high. 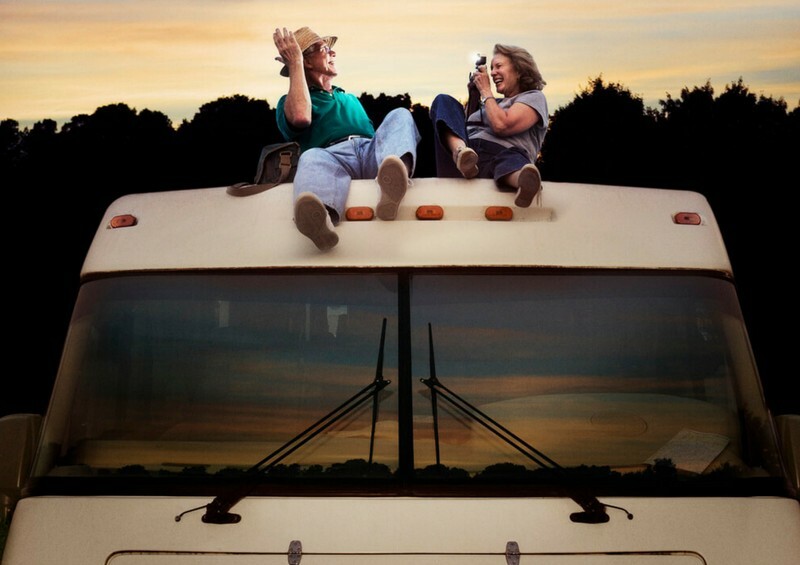 How Much is American Motorhome Insurance in the UK? If you’ve been convinced by Jack Byrnes’ massive motorhome / surveillance van in meet the Fockers then Compare UK Quotes can help you. Give one of our specialist advisors a call and we will be able to discuss your exact needs and provide you with the more suitable insurance and breakdown quotes to fit. You can take that adventurous road trip with a mobile luxury home – but do it knowing all the bases are covered. Compare UK Quotes will find the best deal for you – get in touch today! Damages claim against Mastercard totals £14.098billion, meaning that around 46.2million people in the UK could receive a payout. Compare UK Quotes is a trading style of Secpro Limited. Registered office: Axis 3, Mallard Way, Swansea Vale, Swansea, Wales, SA7 0AJ Registered in in England and Wales. Company registration number: 07743548. Copyright © 2018 Compare UK Quotes, All rights reserved.